On October 2, 2014, Honourable Prime Minister Narendra Modi called for Swachh Bharat Abhiyan. Wing Commander Puneet Sharma from Pune, a veteran who was commissioned into the Airforce on June 14, 1989, believed that such an initiative would be successful only if there is active participation by all citizens. Swachh Bharat Abhiyan is a campaign by Narendra Modi, aimed to clean up the country’s roads, streets and infrastructure, both in urban and rural areas, between 2014 and 2019. In the wee hours of October 9, 2014, Puneet left a Facebook status urging his friends to join him and put individual effort to make Pune a cleaner, greener, and better city. 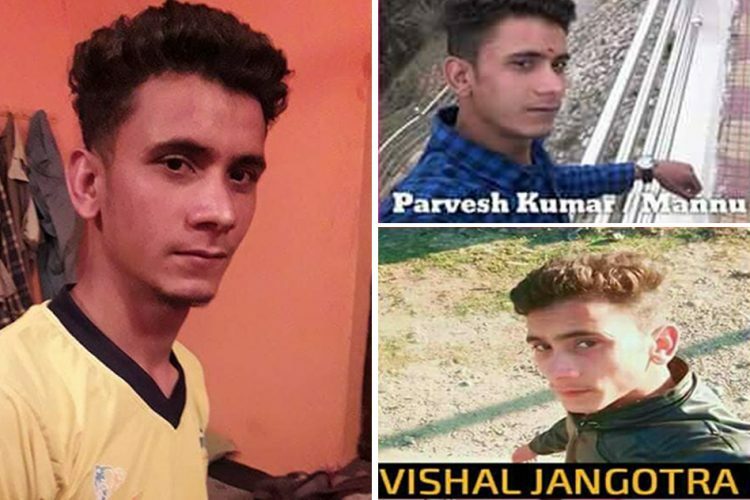 On October 19, 2014, Puneet’s Facebook page on the campaign came into being and they began posting about stories with ‘before and after’ pictures. 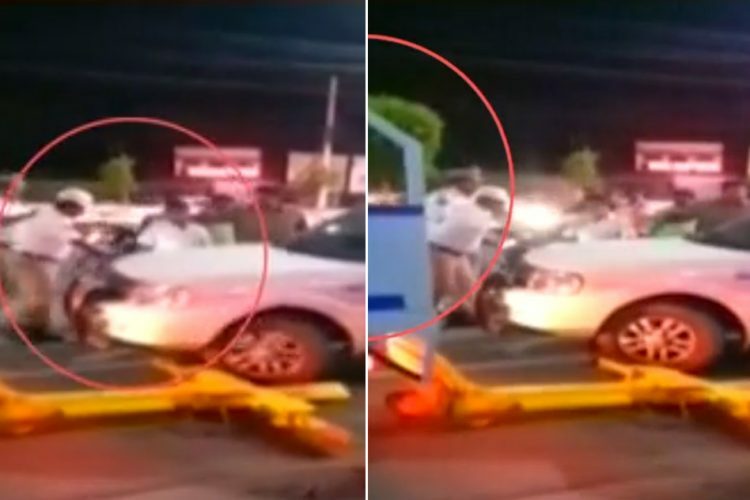 They started observing the erring individuals and made efforts to correct them. On the following Sundays, they made numerous attempts to sensitise vendors and commuters alike. They visited all major stations and bus stops. Initially, all cleaning activities on various hills in the city led to sacks full of plastic trash, which they started giving to Ruddra Environmental Solutions for converting into poly fuel. Seeing them, many morning walkers started tagging along to contribute in these activities. What began with cleaning hills, parks and canals, has now grown into a much larger project. Apart from cleaning the city, the group is now attempting to spread various messages through paintings on different walls across Pune. 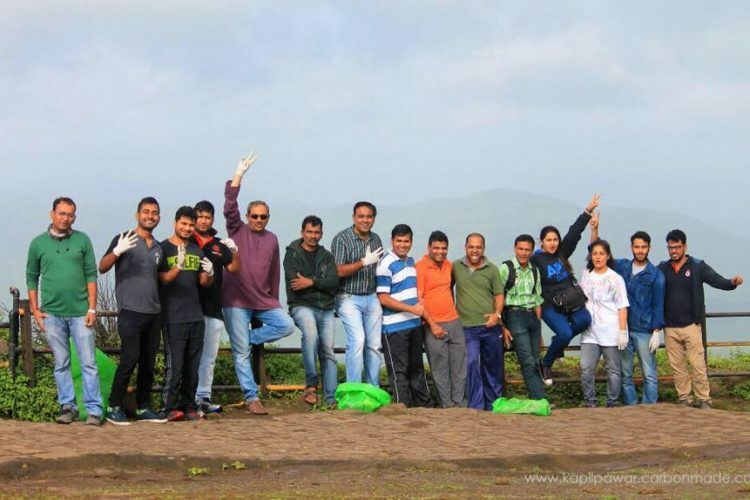 Swachh Pune – Swachh Bharat is not just about a cleaner city, but about a more beautiful, much happier city. Led by Puneet Sharma, his team went around the city painting walls which would otherwise lie neglected. 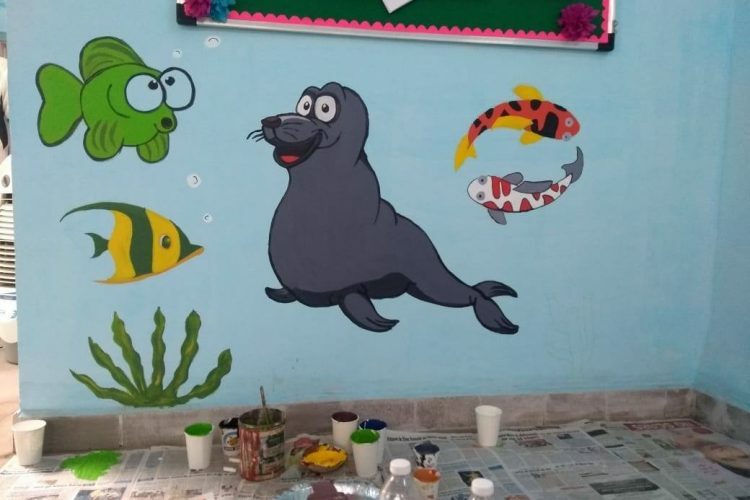 Together, professionals and non-professionals came forward and gave a complete makeover to places like the walls of Viman Nagar Airport, Magarpatta flyover, Pune station, Shivajinagar station, and the walls of Kalyani Nagar. The paintings, however, are not random pictures. All of them convey strong social messages. They give out messages about child labour, pollution, women empowerment, among others. “We work on weekends but the work is absolutely voluntary. Nobody is ever forced to work. We create awareness through our paintings. I am one of the painters but I do it only because it is a hobby for me. I am not a professional,” said Akshay Suryavanshi, who works at an IT company. All volunteers come from different backgrounds and pursue different professions. But social work unites one and all. Pravin Pandit Rao Chandan, who works at a Private Limited company, loved painting when he was a child, but he could not continue it professionally. “I love painting, and it’s a bonus when I get the opportunity to spread important messages through my work. Pune station, specifically, was a place that was always littered by passersby. People would spit on the walls. But ever since we painted the walls, these activities have significantly reduced. That is the power of painting. A painting speaks a thousand words,” he said. Nilanjana Roy is a technical communicator by profession and an artist by passion. On weekdays, she works in the software development centre of a reputed bank, and on weekends she is a street artist. 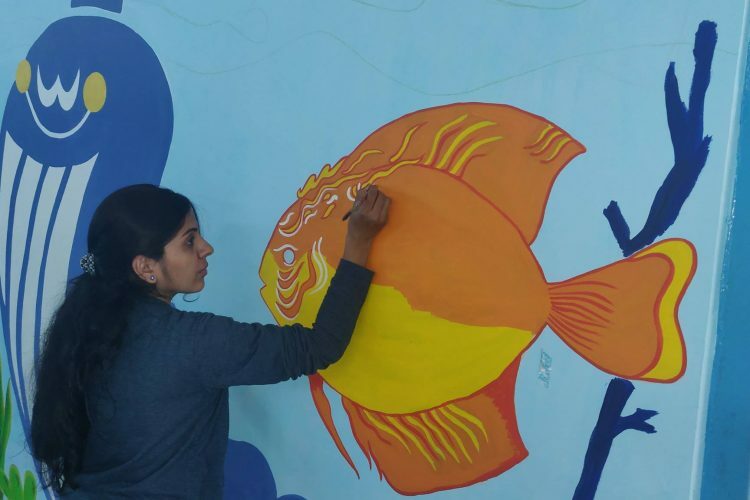 As a volunteer in SPSB group’s Creative Team, Nilanjana works with the designer team to plan the theme and conceptualize the content that needs to be painted on any given space identified by their group lead Wing Commander Puneet Sharma. “My participation in Swachh Pune – Swachh Bharat group’s initiatives as a volunteer began by chance, but continued thereafter by choice. 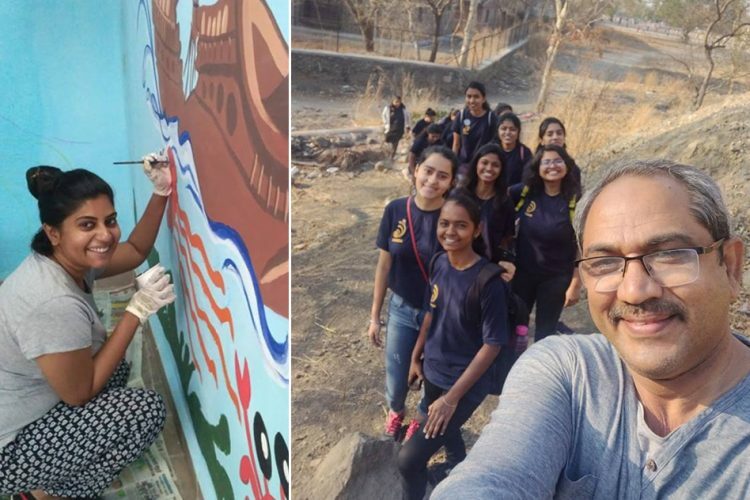 I attended the first day of the Pune Mega Canvas project — an initiative that involved sprucing up a 1.5 km wall along the Viman Nagar Airport Road – hoping to help out the artists at work, and ended up being one of the artists at work. 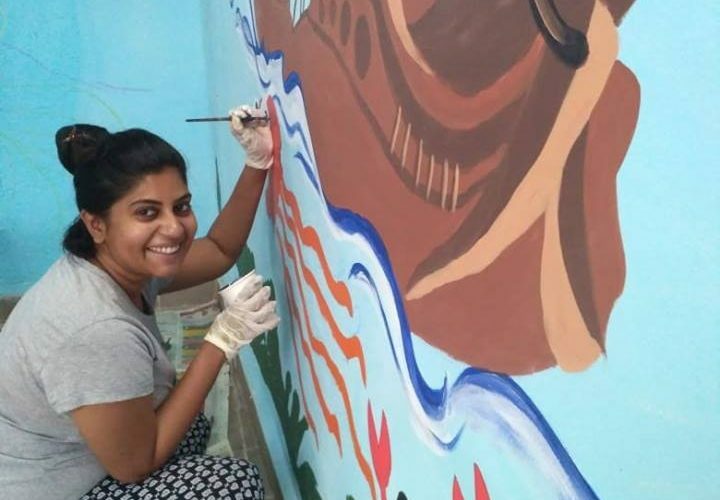 From then on, this team gets together whenever there is a call to brighten up some dreary corner of Pune and give it a meaningful and colorful makeover,” she said. From planning the approach for a painting project, to chalking out the line drawings that help get larger number of volunteers involved to help them with the colouring, to allocating work to young and eager volunteers, form a part and parcel of their shared responsibilities. Nilanjana further said, “When one can give back to society while doing something one absolutely loves doing, what more can one ask for? It is nothing but a gift that gives back and the result is immensely satisfying. 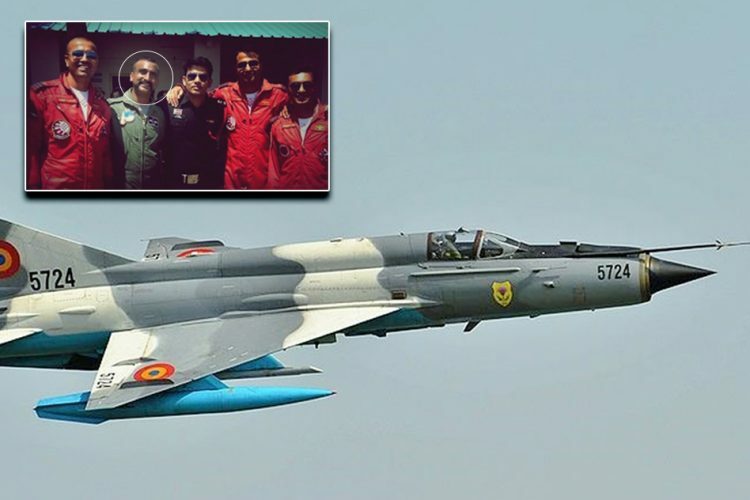 Wing Commander Puneet Sharma, who leads the group, is an inspiration for all of them. “Puneet Sharma is a role model and having him with his military background and focused objectives, we all are bonded together from different communities, cultures, with a single motive to do something good for society. 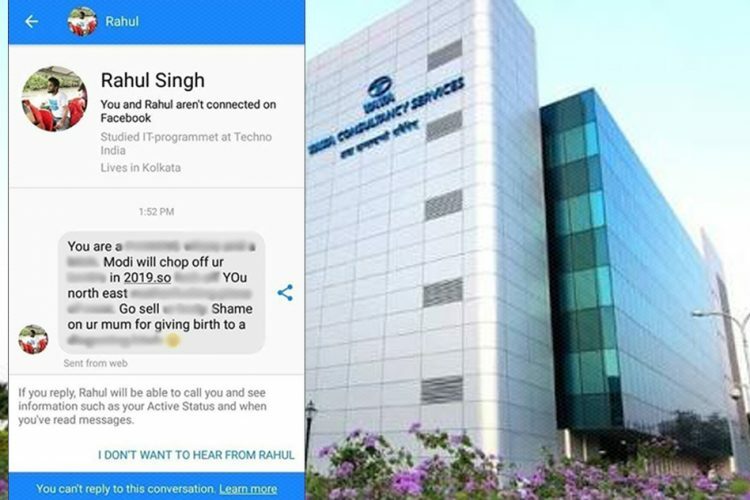 Since people from various age groups and people from varying professions come together, we get a chance to learn a lot, and become better human beings,” said Ashutosh Sadanand Dixit, a production management team lead in a telecom service industry. 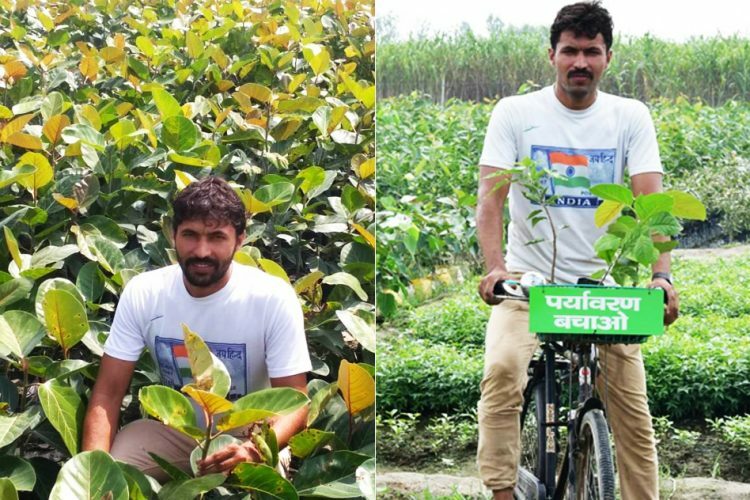 Puneet Sharma, the man behind the major initiative, who is a role model for one and all, motivates us to believe that working for a social cause, for the greater good of society, earns one not only huge respect but immense personal satisfaction. It is definitely not easy to get up on a Sunday morning, which most of us spend sleeping, and coming together to put such massive effort. The Logical Indian appreciates Puneet Sharma and his team for their continuous selfless effort for a wonderful cause.